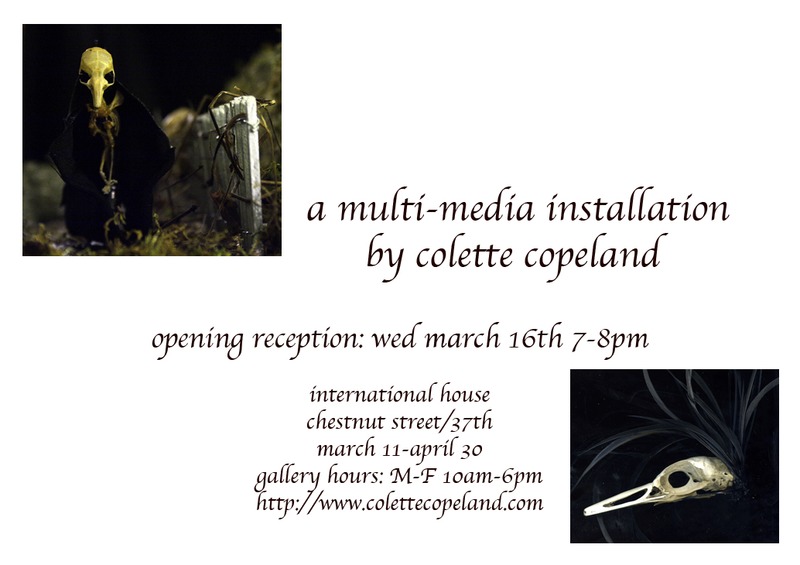 Come see Colette Copeland’s new multimedia installation, “Just Add Maggot” at International House. The opening reception is tomorrow from 7-8pm. See you there!